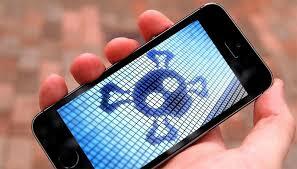 Its been seen that iOS device is much effective as compared to Android regarding security issue. But now iOS device is also in danger. Security company Palo Alto Networks announcedit found a Trojan that exploits flaws in Apple’s DRM without needing to abuse enterprise certificates, and they’re calling it “AceDeceiver.” Currently, AceDeceiver only activates when the device’s geotag is in China. The process for how the malware works is a little complicated. According to Palo Alto Networks, AceDeceiver uses a mechanism called FairPlayMan-in-the-Middle, where attackers purchase apps and save the authorization code needed for it to work on an iOS device. People who download the client AiSiHelper, a program that mimics iTunes, will now be in possession of an infected computer. When they plug in their iOS device, attackers can send an authorization code to trick a victim’s device to make it believe it purchased the app, and then it will download it.